The power of Klipsch R-10SW vs SVS SB-1000 and their capacity is quite different as well as their amps’ power. The Klipsch R-10SW amps’ power is only 150W versus SVS SB-1000 amp 300W. That’s why Klipsch R-10SW fits the only small family or teen’s room. 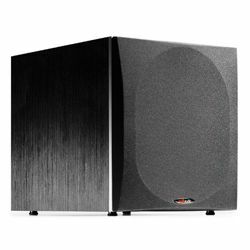 Klipsch R-10SW has the Bass Reflex tech that provides increased efficiency via a tuned port. SVS SB-1000 has the acoustic suspension without such a port. 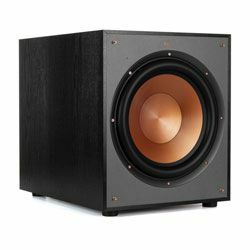 SVS SB-1000 has no copper IMG for increasing the sound accuracy as Klipsch R-10SW has. However, SVS SB-1000 has speaker-level inputs that make you free of using a separate RCA patch cable. Both subs can boast the high-end sound quality without distortions. We can only compare the sound reproduction of SVS SB-1000 vs Klipsch R-10SW in music and movies. 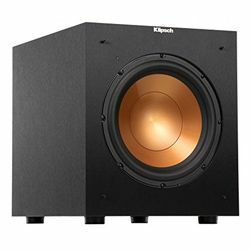 Klipsch R-10SW produces the amazing sound in the connection with the calibrated speakers. The bass is deep and rattling while watching movies and playing games. It pairs perfectly with the modern TVs. However, it performs movies better than music. It is rather loud that’s why the bass is a little bit boomy when compared it with the soft and delicate SVS’s bass. SB-1000 demonstrates the great bass texture while streaming from various Blu-ray discs and the latest LFE soundtracks. Its control buttons include attenuators to provide precise adjustments. 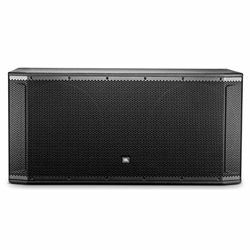 Klipsch R-10SW is a small copper woven device that is heavy enough, well-constructed, and looks professional due to its thick sturdy materials. Its volume is side-mounted that permits to reach it easily. SB-1000 is compact too and available in ashy or gloss black, and gloss white. 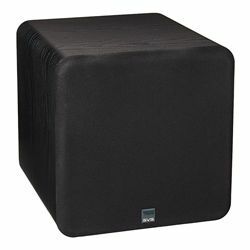 Both subs are made of firm and durable materials. Sonically musical sound with towers in the back of the home system. Good quality of the back connections. The unit needs to keep the crossover at a very low setting to avoid booming. The prime quality of the parts of the sub. Has its own crossover and volume control to adjust the crossover frequency and output level in case of receiver’s auto speaker calibration not implemented. A significant cutoff for deep bass of 35 Hz.